With the festive season well and truly upon us, what better selection of apps to feature than Santa Travel apps. 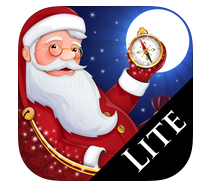 Yep that’s right – here is a selection of Santa Tracker Apps you and yours can have fun with this Yuletide. Merry Christmas! It’s countdown time! Watch Santa as he prepares for flight on Christmas Eve. You can explore the North Pole and play games that help the Elves get the presents ready too. Apple and Android. 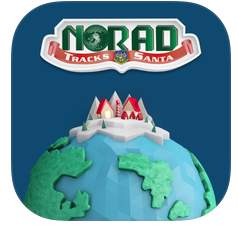 Mixed reviews – most agree that the app is not as good as the NORAD Tracks Santa website. 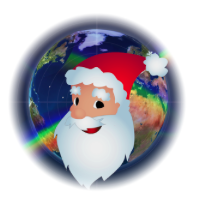 This app lets you follow Santa around the globe, pinpointing him on the map as he goes. The app will also add your location, and give a countdown so you know exactly what time Santa will be arriving. Apple and Android. Reviews think it is a fun app to use because you get a different update about what Santa is doing each time you refresh the radar. Not to be confused with the previous app! 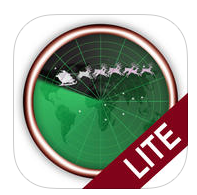 This one lets you zoom in and out of earth while you track St Nick, and take the sleigh for a test run to see how fast it can go. Comes with a selection of carols for added holiday charm and of course a countdown to the big day. Apple and Android. Reviews are few, but seems that most are content with this simple Santa app. See what Santa is up to on the run up to Christmas, send a letter to Santa while you are waiting and track Santa once he is on his way. There is also a blog and Advent Calendar of Santa sightings. Android. With only a handful of reviews, it is difficult to say if this app is worth the £1.55 to download. This entry was posted in travel apps on December 21, 2015 by worldwideinsure.